Ativan is a powerful sleep medication. Ativan is often prescribed for insomnia, but the complications can be severe. Be sure you understand the potential side effects of this very popular anti-anxiety medication. As with many sedative-type sleeping medications, Ativan complications include side effects, potential drug interactions, allergic reactions, dependence and withdrawal reactions. Many patients taking Ativan don't have serious side effects, but others experience a variety of problems. Doctors continue to prescribe Ativan for a variety of medical problems including insomnia because its effectiveness usually outweighs the discomfort and inconvenience of any side effects. 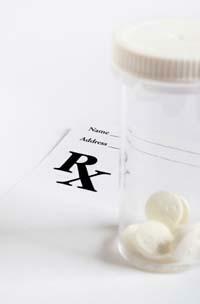 Users of Ativan often feel very drowsy, dizzy or have blurred vision after taking the medication. In rare cases, patients may experience severe side effects such as loss of consciousness, memory loss or difficulty speaking. Patients are told to avoid any activities that require their full attention such as driving or operating machinery. Drinking alcoholic beverages with Ativan is not recommended. Ativan users may also experience various gastrointestinal effects such as constipation, heartburn or a change in appetite. Ativan has different effects based on the age of the patient. Elderly patients might find that it makes them feel drowsy and unsteady. It can also cause mood changes and sleeping problems in older patients. Children may feel increased anxiety, experiencing restlessness, agitation and even hallucinations. It can harm an unborn baby, so it is not recommended for pregnant women or women who are nursing. Any of these side effects may cause your doctor to decrease your dosage or discontinue the medication. Typical allergic reactions might include shortness of breath or swelling in the mouth or throat. Less common allergic reactions include hyperactivity, blurred vision, nausea, vomiting, insomnia, amnesia, inability to focus, aggression, hallucinations and depression. If you have an allergic reaction, you should see a doctor immediately. The use of Ativan can cause dependence particularly if taken for more than one to four weeks or if the patient has a history of alcohol or drug abuse. It is also possible to build a tolerance to Ativan if used over long lengths of time such as months or years. As the tolerance builds, increasing amounts of Ativan must be taken to have the same effects. A patient should not increase their dosage without talking with their doctor. A doctor will either increase the dosage or prescribe a different medication. The use of Ativan can be habit forming, although it is unlikely. The chances of becoming addicted to Ativan are increased if the patient increases their dose or takes the medication for a longer period of time than prescribed by their doctor. As will all medications it is important to tell your doctor about any allergies or other medications before you receive your prescription for Ativan. It is also important to report any Ativan complications or reactions to your doctor immediately.